A vital door-to-door bus service which provides a ‘lifeline’ to vulnerable people in Greater Manchester is set to have its aging fleet replaced with new cleaner and greener vehicles. 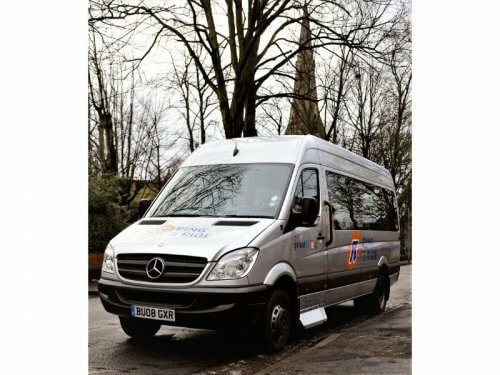 The Ring & Ride service is operated by Greater Manchester Accessible Transport Ltd (GMATL) and is mainly funded by Transport for Greater Manchester (TfGM) via a grant from the Greater Manchester Combined Authority (GMCA) Transport Levy, and fares incomes. As part of the Transport Levy budget approved for 2019/20, GMCA has agreed that the grant to GMATL will increase by £300,000 to replace 31 vehicles. Leasing the new vehicles instead of purchasing will ensure flexibility, enabling the fleet to match ever-advancing vehicle emissions technology standards and maintain TfGM’s commitment to improving air quality. But in 2005, Lynne overcame her fears and regained her active lifestyle after her sister suggested trying Ring & Ride. She said: “I swim three times a week. I see friends, I walk. It’s completely revolutionised my whole being. My whole persona has changed and it’s all through Ring & Ride. “I was in a dark, dark, place but I turned the corner. Chair of the Transport for Greater Manchester Committee, Councillor Mark Aldred, said: “This really is excellent news as it’s no exaggeration to say that, in many cases, Ring & Ride provides a lifeline service to people that would otherwise be unable to access family, friends, shops and leisure opportunities. “By leasing the vehicles we give ourselves scope to take advantage of the rapidly-improving low emissions technology as well as any advancement made in accessibility. TfGM is currently undergoing a procurement exercise for the supply of the vehicles.